We are the experts in post-operative orthopedic rehabilitation. Our program is designed to achieve maximum recovery safely and effectively, all according to the restrictions set by your orthopedic surgeon. Get the best outcome from your surgery by following our program that facilitates full recovery, promotes proper healing and protects the healing tissues. • Understanding the post-operative rehabilitation process and expectations. • Regain confidence and strength. • Expert guidance in treatments to achieve recovery goals. 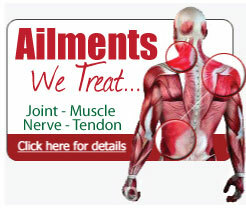 • Restore maximum range of motion and pain free movement. • Maximize muscular strength, endurance, and stability. • Improve overall function in daily activity quickly and safely. Recovery time depends on the exact surgical procedure and the restrictions set by your surgeon. Be wary of the facility that has you do the same old routine every visit without being hands on or teaching you something new. Physical therapy should begin as soon as your surgeon recommends it. Effective post-surgical rehab will improve your mobility, increase your strength and decrease your pain. The longer you wait, the harder it becomes to regain function. R and R is your best choice for post op rehab.